This house just screams ''come sit and enjoy your coffee on my back deck and enjoy the views''. 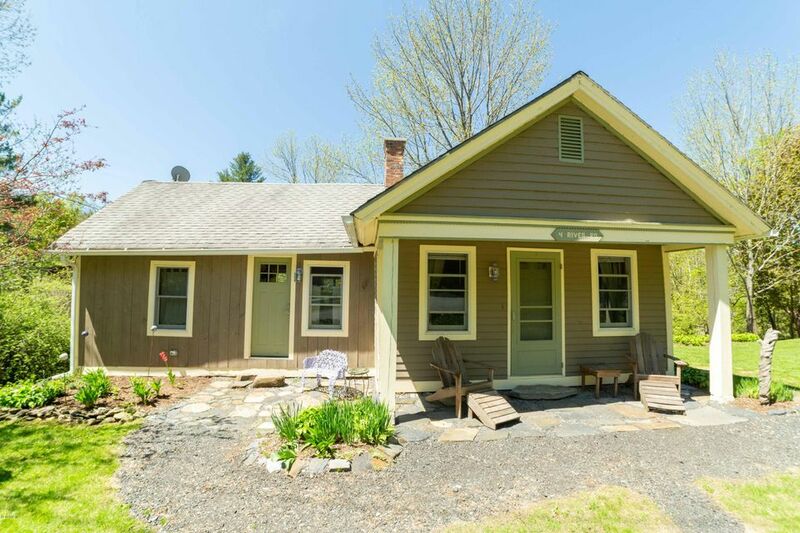 This adorable cottage sits on a piece of the Westfield River. On the corner of River Rd and Rt 116, it's an easy commute to Ashfield, Greenfield, Williamstown, Pittsfield or Northampton. The kitchen is gorgeous with a huge old porcelain farmers sink. The counter tops were done with old tile roof slates and have been covered with a hard surface. There are new floors in the living room. There is an entirely new electric panel. The Chimney has been re-pointed and the roof done. The deck is new.... the retaining wall rebuilt.